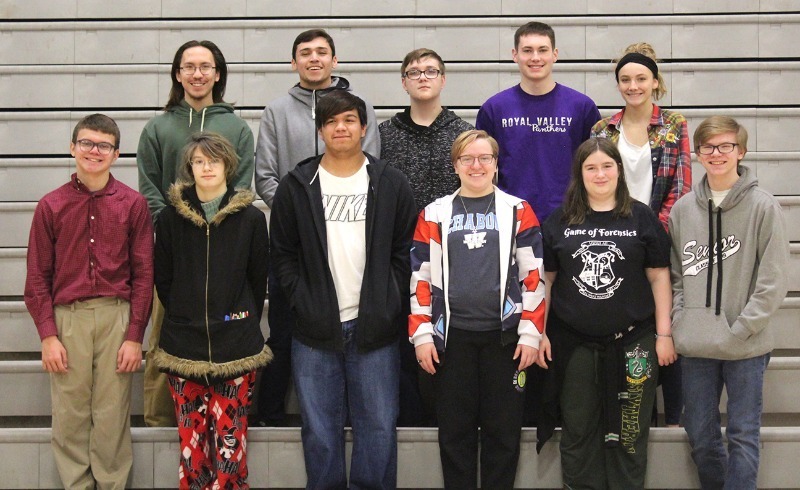 The RVHS Audio-Video Club members are Trent Wilbur, Tanner Holte, Kobe Mills, Ava Thompson, Ellie Coleman, Hannah Allen, Fallon Greene, Mikal Kitchakommie, Luke Boyden, Zach Wahweotten, Brennan Smith, Mahtah Rector, Ivan Torkelson, Marcella Wishteyah, Blake Holte, Ali Clements, Stella Rector. The settings on all the chromebooks have been locked down due to the students trying to get to a virtual private network. Here is a list of some shortcuts . Show the keyboard shortcut overlay: Control + Alt + ? is the ultimate cheat sheet. It pulls up a large keyboard that shows where all of the shortcuts are. Toggle on/off the Caps Lock: Alt + search button (where the caps lock is located on Windows PCs and Macs) capitalizes every letter, for when you need to type out a long acronym or yell at somebody on the Internet. Lock the screen: Control + Shift + L keeps everybody out when you’re taking a break from the computer. Launch apps from the shelf: Alt + 1 - 8 will launch apps from the shelf, which is the Chrome equivalent of the Windows taskbar. The numbers correspond to the position of the apps, in ascending order from left to right. Activate a specific tab: Control + 1 - 8 works similarly to the dock, shifting over to a specific tab. Open the task manager: Shift + Esc opens the task manager, a good way to track down a process you need to shut down for faster performance. Open the file manager: Alt + Shift + M access your offline files. Dock a window: Alt + [ – or Alt + ] to dock a window to the left or right side of the screen - functioning just like Windows Snap. Take a screenshot: Control + Switcher key. Open the Chrome browser menu: Alt + E.
Log out of your Chromebook: Control + Shift + Q. Mirror the monitor: Control + Monitor button projects your screen contents over to a connected monitor. Page up: Alt + Up to get back to the top of an app or page faster. Page down: Alt + Down to zip faster through a webpage. Close your current tab: Ctrl + W closes the current tab you’re working on, just as with Windows.